The only thing I know about Max Factor is the awesome mascara that vowed me. It was like no other mascara I have ever seen. The easy to use mascara lengthens in one coat and after two it looks like you have put on a false eyelash! No wonder it's called the "False Lash Effect Mascara" I said to myself when I first witnessed it on Fatin at the Max Factor counter in Lot 10. Surely it would be loved by everyone? it's ranked as the top selling mascara in the global market! what do you think? have you tried it yet? Well the False Lash Effect Mascara isn't the only thing that Max Factor has to offer as I stared intensively at Winnie Loo's skillful hands magically turning the model into a meooowwww hot panther! It was a working day on 17th December, 2010 but I managed to apply leave just to come see Winnie Loo in action (fuh!!!). Dubbed the make-up of make-up artist, Max Factor was recently launched in Malaysia (a brand of Procter & Gamble, distributed locally by StarAsia Malaysia) and has many women raving about the mascara that I just mention! 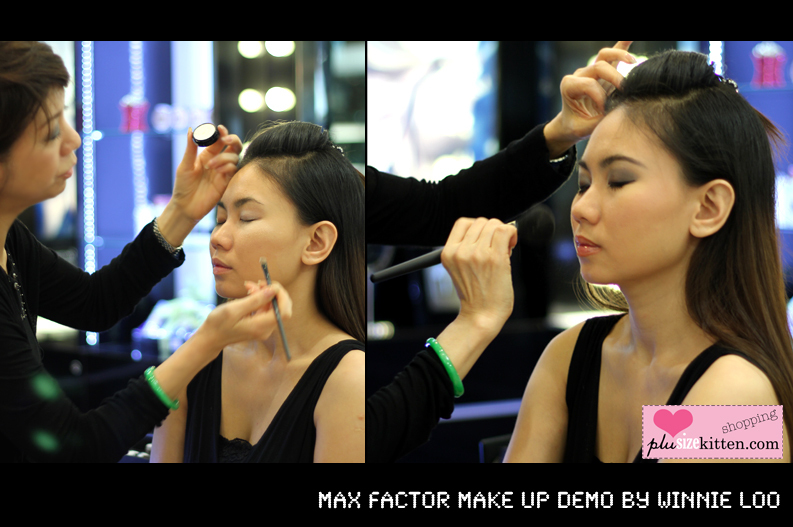 And yes Winnie Loo is the selected make-up artist for Max Factor!!! Who don't know Winnie Loo right? she's like a household name now. 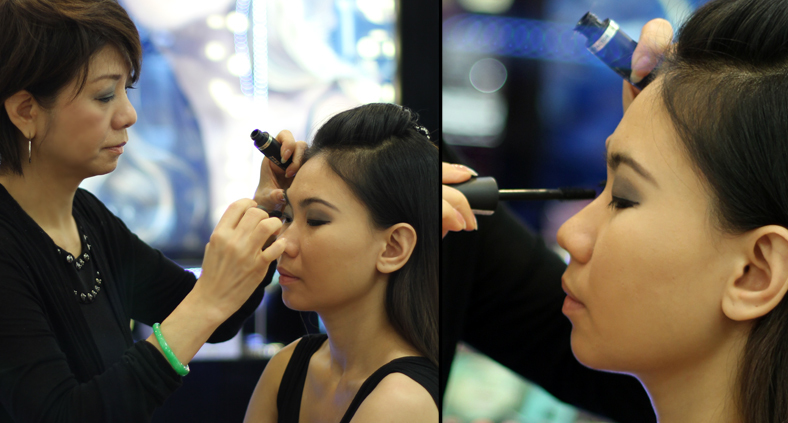 The Chief Creative Director of A Cut Above shares her make-up tips with us in a live demo on a pretty model. She shows us that with a few easy strokes, brushes & shadows from the existing Max Factor range top with the magic "False Lash Effect Mascara" wand any girl could turn into a Cinderella with eyes ready to kill the prince at midnight! Forget the glass shoe honey, just leave that mascara behind as evidence. After the make-up demo, there was a special promotion just for us that day with lucky draws to be won too! I bought the RM88 set consisting of a False Lash Effect Mascara & Lifinity Color & Gloss (I swear the swatch on my hand lasted a week even after showering and washing!) it comes with a cute small pouch studded with bling-blings (Kaviar Gauche Bag). This would normally cost RM139 so I had a good deal. I bought this for a dear friend's Christmas wish list, she really wanted to try the mascara after hearing me raving about it. Also don't forget to get your Max Factor loyalty stamp card! 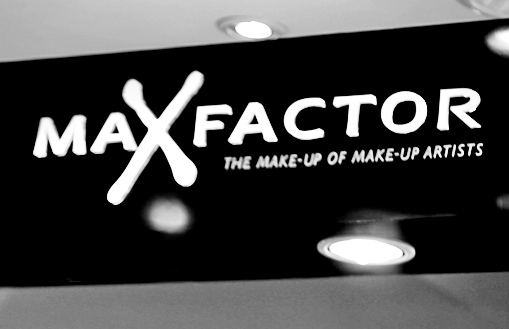 you get to collect stamps from shopping at Max Factor and with every level achieved, you get a free makeover! and once you reach to the bottom (last stamp) you get Max Factor products worth RM200! to find out more info about this, please ask your Max Factor Make-up Artist. I recommend trying the waterproof False Lash Effect in Black RM66 (also comes in Black-Brown and in regular shades Black & Deep Blue).